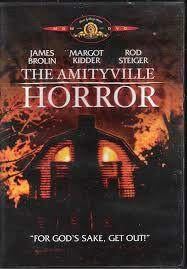 Amityville was a hoax. There. I said it. I only wished that potential clients believed it and would stop trying to equate their experiences with those of the Lutzes. 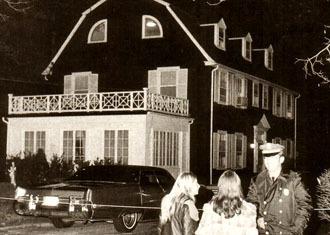 The Amityville Horror story was promulgated to solidify the defense for Ronald “Butch” DeFeo, Jr. Mr. DeFeo was accused of slaughtering his family on November 13, 1974. 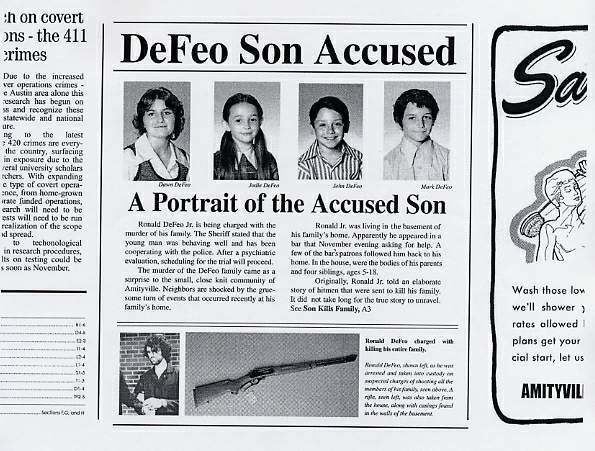 Suspicion quickly turned to DeFeo, who was 24 years old at the time. The motive was simple: life insurance money. 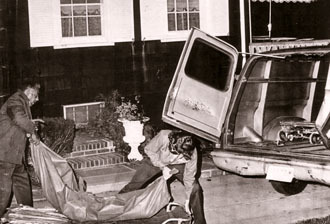 DeFeo’s defense attorney William Weber concocted the demonic possession defense in an effort to prove DeFeo was insane. It backfired. However, it propelled George and Kathy Lutz into the international spotlight—thanks to writer Jay Anson. Long Island Press interviewed George Lutz for an article published on January 17, 1976. The article detailed “tame” subjective experiences. Good Housekeeping published an article in April 1977. That article claimed a Roman Catholic priest warned the family about a bedroom. The article also stated that Kathy’s aunt, a former nun, berated George for over 3 hours. The movie based on the book opened in 1979. Paranormal investigators deemed the incident uninteresting and declined to investigate. Police Sgt. Cammorato later denied visiting the house, contrary to what George stated. Father Pecorara also denied entering the home. George’s original story morphed into a tall tale of demons and levitations. Little has been corroborated. Even less has been authenticated. The real victims are the house at 112 Ocean Avenue and the subsequent owners, who successful settled a lawsuit related to these events. I’m amazed at the number of people who contact Archer Paranormal Investigations (www.archer-pi.com) and report similar occurrences. It is almost as if there is a checklist for demonic possession. Black flies? Yep, by the hundreds. Glowing eyes in the windows? Yes, looks like a pig. Or a boar. Or maybe even a hog. Clergy warn you about the house? How did you know? Just after we had it blessed. The point is: Don’t believe the hype. Most of the stories are just that—stories. However, there is a small percentage of cases that are real. Every case is different. Treat them that way. Tune in this Thursday, March 20 on Archer Paranormal Radio on www.liveparanormal.com as we discuss Conspiracy Theories.